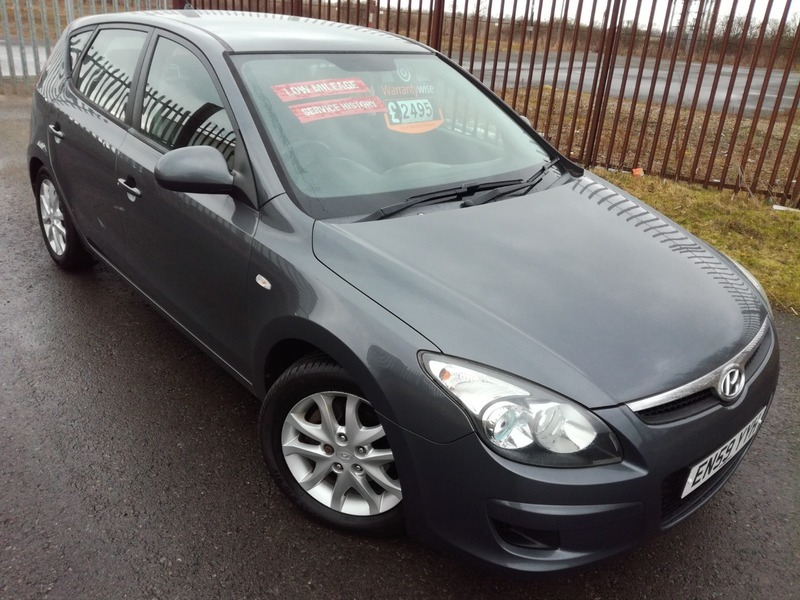 GENUINE EXAMPLE HYUNDAI I30 ON A 2010 59 PLATE FINISHED IN A LOVELY DARK GREY METALLIC AND COMES WITH THE COMFORT ALLOYS THAT SET THE CAR OFF WELL. COMES WITH ALL THE USUAL REFINEMENTS ASWELL AS AUX CONNECTIVITY. DRIVES LOVELY AND SMOOTH, EASY GEARCHANGE AND GREAT TREAD TYRES ALL ROUND. A REALLY GOOD FAMILY SIZED HATCHBACK THAT RETURNS A GOOD MPG BEING A 1.4. COMES FRESHLY SERVICED, HAS PART HISTORY AND LOADS OF MOT. VIEWING RECOMMENDED AND ANY INSPECTION IS WELCOME! !...ALL CREDIT/DEBIT CARDS ACCEPTED, PART EXCHANGE WELCOME, CHEAP UK DELIVERY, VIEWING 7 DAYS A WEEK WITH HOURS TO SUIT YOU, 6 MONTHS WARRANTY AND FINANCE CAN BE ARRANGED! !